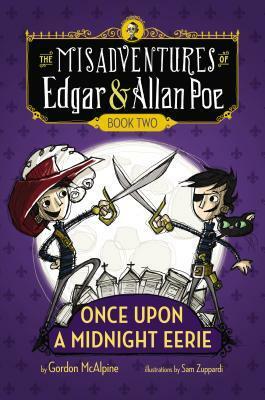 Join the identical Poe twins, Edgar and Allan, the great-great-great-great-grandnephews of the famous namesake poet. 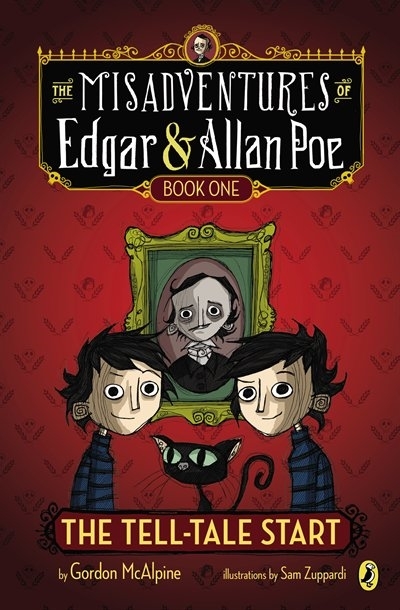 With their black cat, Roderick Usher, loving aunt and uncle, the nefarious Professor Perry, and the Dickinson twins, enjoy these intelligent twins’ quirky misadventures through Baltimore, New Orleans and Edgar Allen Poe himself in the Great Beyond. 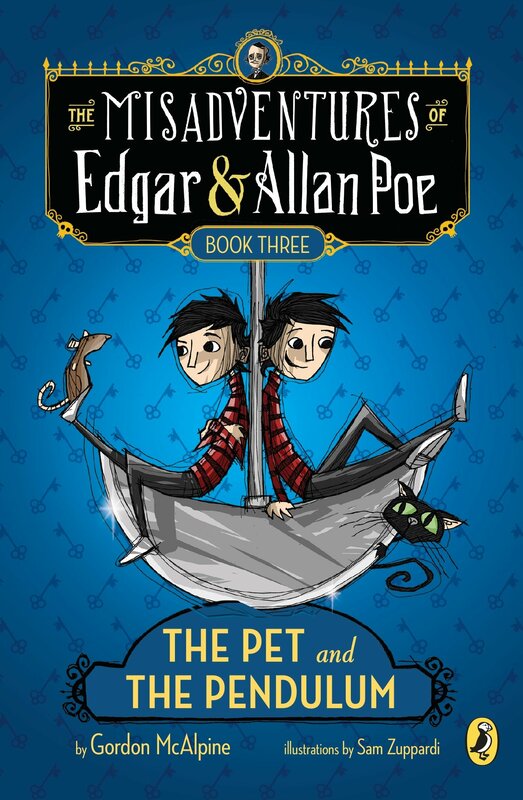 Full of mystery, humor, fortune cookie messages, license plate clues, and playful illustrations.